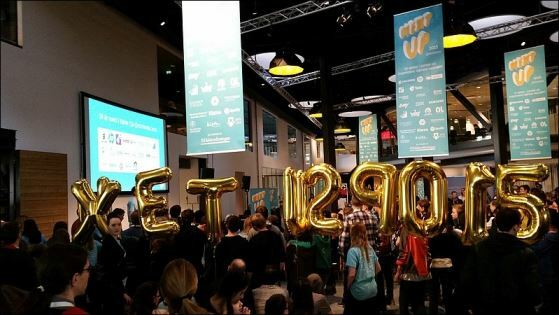 A few weeks ago, I attended NextUp, an IT competition for eighth graders in Kista, the Silicon Valley of Stockholm. The purpose of this initiative was to increase interest in the IT industry, especially among young girls, and to let the future generation of IT professionals interact with us company representatives. 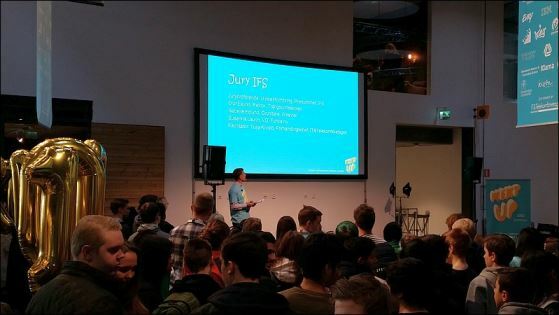 At the end of last year, a number of school classes were invited to participate in solving a case designed by technology companies like HP, Ericsson and IFS. The classes worked on these cases together for months and on the competition day, a jury of IT professionals and entrepreneurs gave them feedback on their solutions. IFS Labs director Martin Gunnarsson had created one of the cases on social media and the environment, and the panel judging the solutions was led by IFS product director Ulrika Holmbring. Hundreds of teenagers from all over the city had met up to cheer for their class representatives as they presented their ideas in a manner much like those talent shows we’ve grown accustomed to. After seeing four different solutions to the IFS case, each more innovative than the last, the most evident take away for me was how easily these teenagers incorporate concepts that are today considered “hot” in the IT industry. Each of the four solutions used versions of gamification to transform tedious tasks like registering receipts into fun tasks where the user is instantaneously rewarded for completing a task. A majority of the cases contained virtual currencies as the means of transaction and the Internet of Things and cloud were natural components of the solutions. Did they mention “the Internet of Things” and “Cloud”? Of course not. And in fact that makes their use of these concepts even more significant. Why put a name on something as trivial as the ability to save anything anywhere, or have fun and get points while working on a project? These are established ideas in a generation grown up using wearable technology. You’ve heard it before: the future IT generation will take much of what we consider cutting edge today for granted. The cases presented at NextUp prove that to us once again. Is the industry ready for them? Perhaps not today but IFS and other global IT companies strongly support these kinds of initiatives where we get a chance to meet our future employees for a reality check. I believe that the take away for us IT professionals attending the event is that in ten or so years, we will have colleagues that expect work to be a fun competition where their performance in scored in real-time (bye-bye yearly appraisal meetings); where all their wearable technology has a full interface to relevant IT systems; and where professional social media like LinkedIn has developed from a digital CV database (yep, that is still how most of us use it today) to a truly buzzing marketplace blurring the line between colleagues and your personal network.